Our courses are often described as challenging, exciting and heaps of fun! This course is designed for Beginner to Intermediate paddlers. We can even put an expert through their paces! This course has been described as a true experience! Our popular two day course is designed to give you the fundamental skills necessary to start sea kayaking safely on protected waters. With its mix of paddle skills, half day guided paddle* and theoretical knowledge it is a great weekend's experience. Our Instructor/Student ratio is a maximum of 1:6, so you are assured of first class tuition and service. Looking for a gift idea? This is an exciting experience for someone wanting to try a new activity. Not sure when they are available - consider a Gift Certificate. Sea Starter Courses are held monthly at our Training & Hire Centre at Sandringham over two days: Saturday and Sunday. At the conclusion of the course you will be entitled to four hours* of FREE sea kayak hire. A great opportunity to hone and consolidate your new skills! You also have the opportunity to qualify for your Australian Canoeing Basic Skills Award ($35 for certificate & registration). Unable to spend a full weekend? This course is available as one full day Private Tuition, one-on-one instruction at the same price - this will usually be midweek but some weekend days possible earlier or later in the season. Contact us to discuss your preferred dates. Having done some river paddling and a little coast hugging exploration, I decided it was time to do the sensible thing and get some quality instruction. 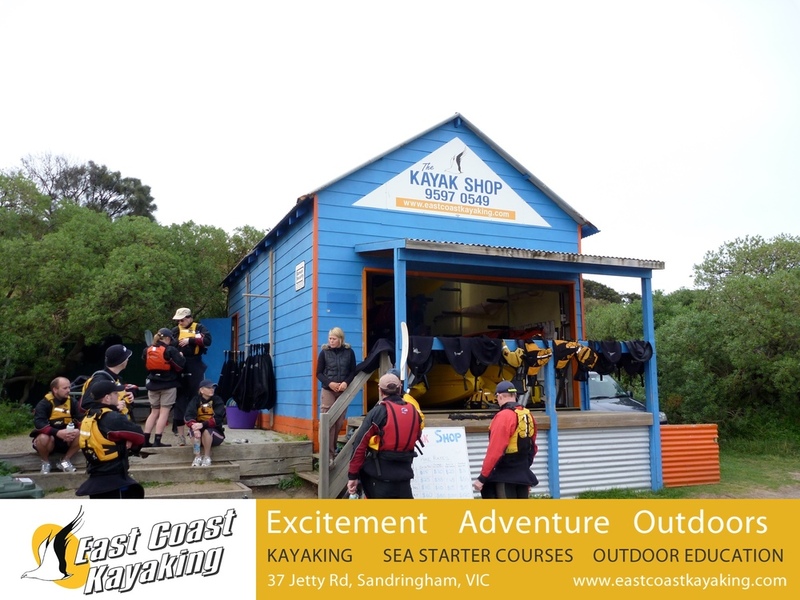 After doing some research, East Coast Kayaks Sea Starter course came up top of the list and Rohan and instructor Pete didn’t disappoint. The course takes you through the fundamentals of paddling and perhaps more importantly, introduces all aspects of safety and trip planning necessary for a protected waters paddle. The information is comprehensive, but well-paced and the two day format allows you time to take in what’s presented on day one and raise any questions or queries the next day as you head back to the water to put it into practice. Pete and Rohan’s knowledge, experience and practical tips were inspirational and in addition to the structured course, a whole lot can be learnt just watching these guys on the water. If you’re considering taking your paddling and more importantly your understanding of the ocean and our local conditions to the next level, or you just want to have a very cool weekend, I’d highly recommend taking the course. I’ll be back for the Beyond Basics course too. We travelled down from Gippsland lakes to attend the sea starter course and it was well worth the journey! The instructors were friendly and helpful and had no issues giving our son the initial, on land, one-to-one instruction he needed to settle him into the course. Additionally, I felt the mix of instruction vs practical application was spot on! Resulting in a well organised and resourced program that was enjoyed by both our fourteen year old and our more seasoned selves. The weather on our October course weekend presented us with strong offshore winds on the second day, however, the team had planned for the changed conditions and I really felt it did not detract from our overall enjoyment of the weekend. We had one very intense and fun filled day on the water, followed by a morning of instruction, inside the relaxed atmosphere of the cafe'. 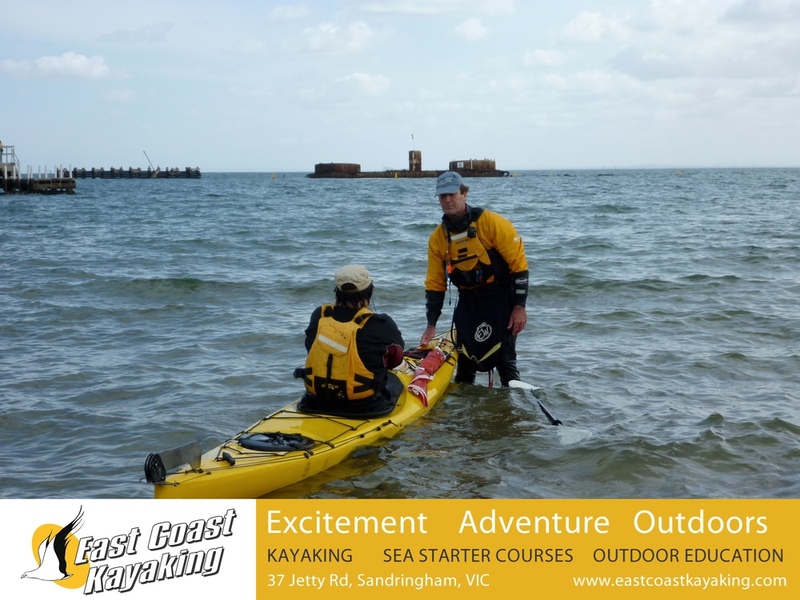 Just a quick email to again say thanks heaps for last weekend's Sea Starter Course - it was great fun and a fantastic confidence booster. I have no constructive or otherwise criticisms to give, keep doing what you're doing - it was very well done. I really enjoyed the course on the weekend, it was very well organised and I learned so much. I really appreciated the encouragement I received from both of you during the weekend, and felt a lot more confident by Sunday afternoon, thanks to your expertise and support, even though it was a challenge with the strong winds. Thanks so much.